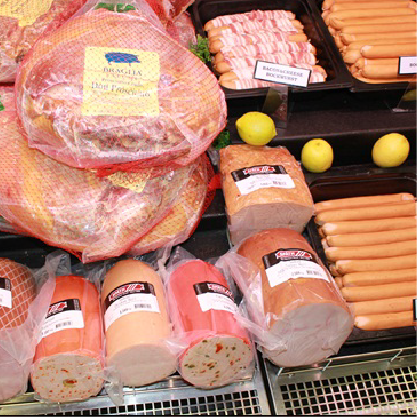 Cold meats are in our Deli section where you can choose from Sandwich, Hickory, Country and Gypsy Hams, all perfectly sliced. Also popular are the Baked Ham and the Austrian Pepper Ham. We can also supply you with whole hams of your choice. Try our different Loaves such as Pepper, Olive, Bacon, Paprika Lyoner and Curry Brawn. 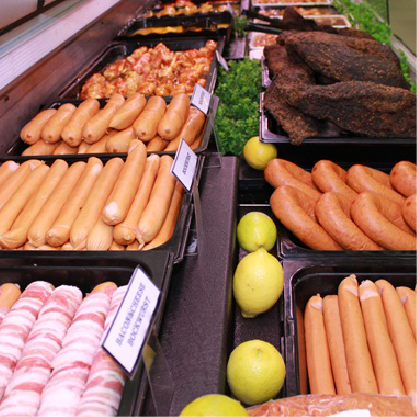 We have different types of Salami as well, such as Cervelat, Pepper and Cooked. 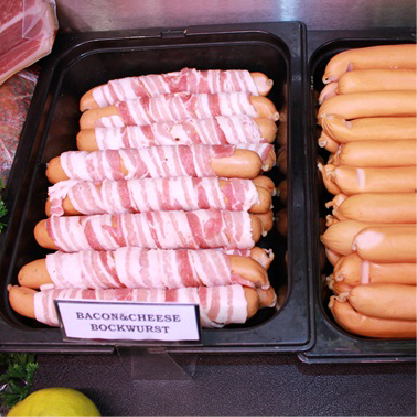 Specially prepared Polnish and Russians Sausages, Frankfurters, Smokes Viennas, Hollandse Rookwurst, Bockwurst, Knackwurst, Cheesy Bockwurst as well as bacon-wrapped Bockwurst. Ons het ook Landjager en Chorizo gewoon en peri-peri. 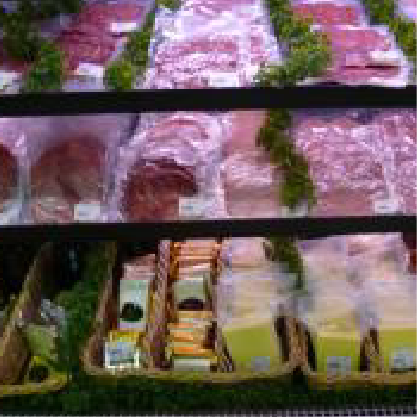 Our Griller range includes Smoked Cheese, Smoked Cheese & Cherry and Smoked Cheese & Chutney.